Breckenridge is a home rule municipality that is the county seat of Summit County, Colorado, United States. As of the 2010 census, the town had a population of 4,540. The town also has many part-time residents, as many people have vacation homes in the area. The town is located at the base of the Tenmile Range. Summer in Breckenridge attracts outdoor enthusiasts with hiking trails, wildflowers, fly-fishing in the Blue River, mountain biking, nearby Lake Dillon for boating, white water rafting, alpine slides, and several shops up and down Main Street. Every year, Breckenridge hosts the Breckenridge Festival of Film, established in 1981, Ullr Fest every January, as well as an annual Fourth of July parade. Notable among the early prospectors was Edwin Carter, a log cabin naturalist who decided to switch from mining to collecting wildlife specimens. His log cabin built in 1875 exists today and has been recently renovated by the Breckenridge Heritage Alliance with interactive exhibits and a small viewing room with a short creative film on his life and the early days around Breckenridge. In December 1961, Breckenridge received its own ski area with the cutting of several trails on the lower face of Peak 8, connected to town by Ski Hill Road. In the 50-plus years since its inception, the ski slopes have become arguably one of the most popular ski resorts in the Western Hemisphere, attracting millions of visitors to the east slopes of the Ten Mile Range in both winter and summer, and serving as the region's top economic driver. Expanding from its humble origins at Peak 8, the resort has slowly added more and more terrain to fill out its permitted area, adding trails to Peak 9 and Peak 10 on the south end of town, and Peak 7 and Peak 6 to the northwest of town. Breckenridge was the filming location of the 1989 comedy National Lampoon's Christmas Vacation and the town stood in for Aspen in Dumb and Dumber. Breckenridge is located at . According to the United States Census Bureau, the town has a total area of 4.9 square miles (13 km2), all of it land. The elevation of Breckenridge is 9600 feet (2926 m) above sea level. 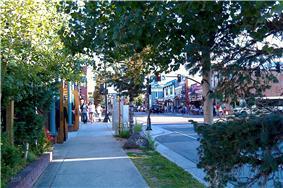 Breckenridge's climate is considered to be high-alpine with the tree line ending at 11,500 ft. The average humidity remains around 30% throughout the year. Climate data for 1893–2012 Breckenridge, Colorado. In the town the population was spread out with 11.1% under the age of 18, 22.8% from 18 to 24, 45.3% from 25 to 44, 18.7% from 45 to 64, and 2.1% who were 65 years of age or older. The median age was 29 years. For every 100 females there were 160.9 males. For every 100 females age 18 and over, there were 164.2 males. Breckenridge holds public events throughout the year. Every January, the International Snow Sculpture Championships are held in Breckenridge, where sculptors from around the world compete to create works of art from twenty ton blocks of snow. The annual winter Ullr Fest parade pays homage to the Norse god of snow. During the summer, Breckenridge is host to the National Repertory Orchestra and the Breckenridge Music Institute. Concerts are scheduled three to four nights a week. Full orchestra, ensembles, and contemporary artists perform at the Riverwalk Center, downtown by the Blue River. 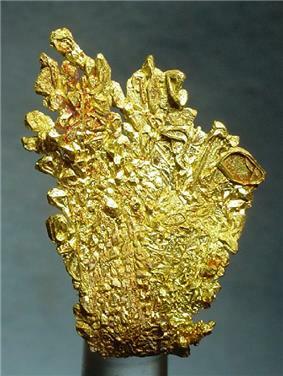 Several art fairs come to Breckenridge every summer, attracting many local artists and buyers. The town also puts on an annual Fourth of July celebration, featuring a parade in the morning and fireworks at night. The Freeway Terrain Park on Peak 8 hosts the Winter Dew Tour every December, featuring the biggest names in extreme snowboarding and skiing. Other events held on the mountain include the annual Imperial Challenge, Breck's version of a triathlon, The 5 Peaks, North America's longest ski mountaineering race, the Breck Ascent Series, with races up the mountain, as well as other competitions, festivals, and the annual Spring Fever month-long celebration at the end of the ski season with live concerts, festivities and other celebrations around spring skiing. Common activities include mountain biking and road biking, hiking, and fly fishing. For mountain biking, Breckenridge hosts innumerable trails such as the Peaks trail which connects Breckenridge and Frisco and the Flume Loops which explore the Highlands Area. The 9-mile (14 km) tarmaced Breckenridge to Friso bike track parallels Highway 9 and is a popular ride. The large number of passes in Summit County also attract road bikers. Many biking and running races are held in the area during the summer months. The nearby fourteener Quandary Peak gains the most attention for hikers. Fly fishing is also popular. During the summer, a fun park is operated at Peak 8 base, connected to town by the BreckConnect Gondola, including such activities as zipline rides, the GoldRunner coaster, an Alpine Slide, Jeep tours, and scenic rides on the Colorado SuperChair. Arielle Gold (born 1996), Olympian and World Champion snowboarder, lives in Breckenridge five months out of the year. Taylor Gold (born 1993), Olympian snowboarder, lives in Breckenridge five months out of the year. John Lewis Dyer (1812–1901), Methodist circuit rider who established Father Dyer United Methodist Church in Breckenridge, where he lived periodically in the 1880s. ^ "Annual Estimates of the Resident Population for Incorporated Places: April 1, 2010 to July 1, 2012". 2012 Population Estimate. ^ "Breckenridge Festival of Film". Retrieved 2007-10-28. ^ "Annual Estimates of the Resident Population: April 1, 2010 to July 1, 2012". Retrieved November 8, 2013. ^ "Breckenridge Real Estate". General Market Reports. Andrew Biggin. Retrieved 2009-12-22. 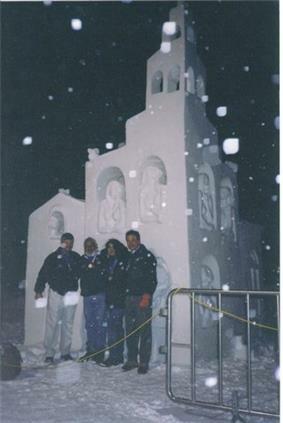 ^ "Breckenridge Snow Sculptures". Breckenridge Real Estate – Snow Sculptures. Ron Shelton. Retrieved 2009-12-21. ^ "What To Do". Breckenridge Resort Chamber. Retrieved 2010-09-24.